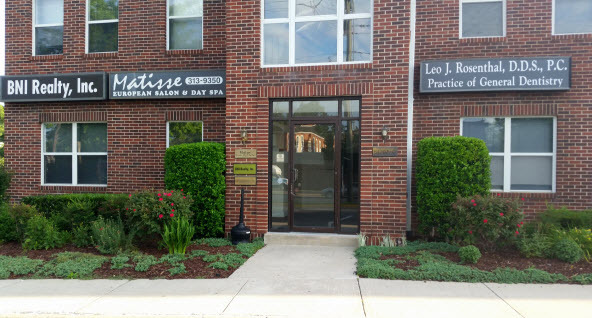 At the Alexandria, VA dental practice of Dr. Leo J. Rosenthal, our comprehensive services are tailored to enhance the beauty and strength of your natural smile. From routine dental cleanings to implant preparation, placement, and restoration, our Alexandria dental team is committed to helping you achieve your ideal smile. As a pioneer of innovative technologies, Dr. Rosenthal frequently incorporates new, modern dental techniques and procedures into his practice. With advanced tools like cone beam computed tomography (CBCT) and laser dentistry, Dr. Rosenthal is able to develop treatment plans that address all aspects of your smile, not just the visible parts. Consistent care is the key to improved oral health and the achievement of a beautiful smile. By incorporating state-of-the-art technology into each dental procedure, patients are provided with an-depth look and understanding of their smile. Dr. Rosenthal can utilize these modern tools to provide patients with full mouth rehabilitation, encouraging healthy, complete, and functional smiles. We assure consistent care, beginning with your initial consultation through to all follow-up appointments. For over 40 years, Dr. Leo J. Rosenthal has provided exceptional dental services for all dental needs. Located at the intersection of Franconia Rd. and Beulah St, our Alexandria dental office is proud to serve the diverse needs of patients from the Alexandria and Springfield communities. For more information about our many dental services or to schedule an appointment, contact Dr. Rosenthal today.